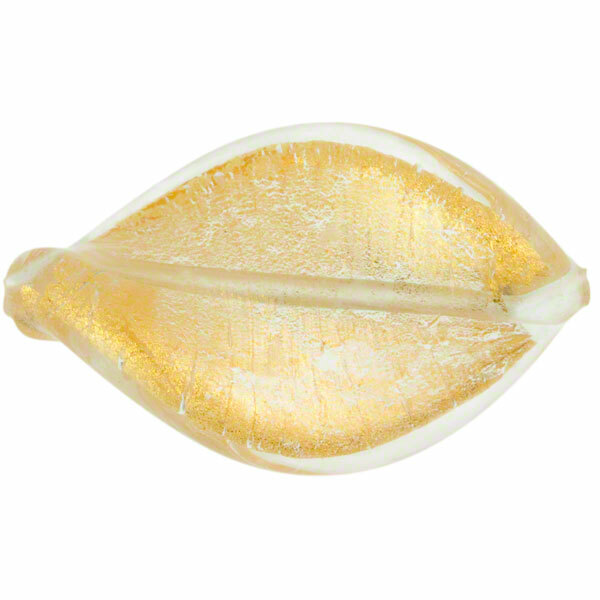 A larger and colorful twist, sometimes called leaves or in Italian "elica" in our Gold LIne. We begin with a center of crystal glass and then roll it over 24kt gold foil. The entire bead is then covered in clear glass. Authentic Murano Glass. Size is approximately 30mm in length and 22mm across, though as they are handmade they will vary.